Based out of the Kahler Personal Injury Law Firms Toronto office, Matthew Consky has been practicing in the area of injury and insurance law since his call to the Ontario Bar in 2004. A graduate of Queen’s University Law School, Matt has devoted his legal career to the service of ordinary people who are hurt by negligent motorists, property owners, corporations and insurance companies. Matt’s personal injury and insurance practice incorporates his areas of expertise, including motor vehicle, slip-and-fall, trip-and-fall, long and short-term disability, accident benefits, Canada Pension Plan Disability, Ontario Disability Support Program, and Criminal Injury Compensation Board claims. 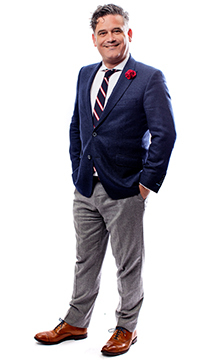 In pursuit of his clients’ claims, Matt has attended before the Ontario Superior Court, Financial Services Commission of Ontario (both Arbitration and Appellate levels), Pension Appeals Board of the Canada Pension Plan (all levels), Ontario Disability Support Program Board, Criminal Injury Compensation Board and the Workplace Safety and Insurance Appeals Tribunal. Matt takes great pride in being a recent graduate of the Culinary Arts Faculty at Toronto’s George Brown College. When not at the office, Matt enjoys spending quality time in the kitchen with family and friends, is an avid hiker and cyclist and acts as the history, geography, classical music and gastronomy trivia expert on his seven-time league champion pub trivia team.